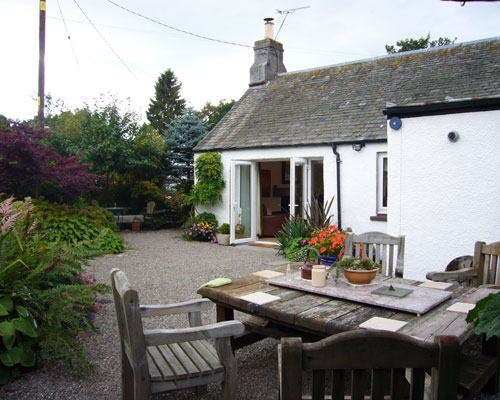 "Relaxing, Romantic break" Strathview Cottage is a lovely, traditional detached holiday cottage just minutes from the famous Gleneagles Hotel and Golf Resort in Perthshire, Scotland. Very comfortable cottage for 2 (plus baby). Beautiful landscaped garden. Originally a Crofters Cottage built circa 1898, this is a charming, comfortable holiday cottage. A perfect getaway. 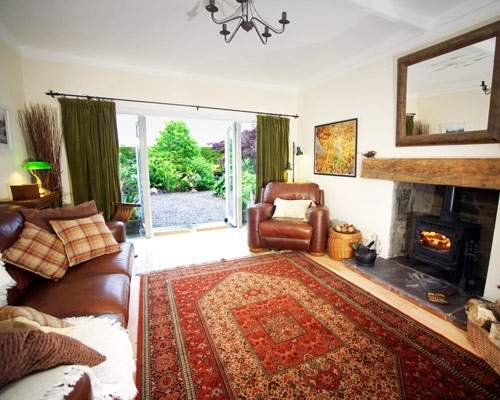 There is a delightful spacious living room with a large leather sofa and chair, writing desk and chair, large flat screen television with Freeview, wood burning stove and large patio doors leading out into the beautiful landscaped garden with views towards the hills. 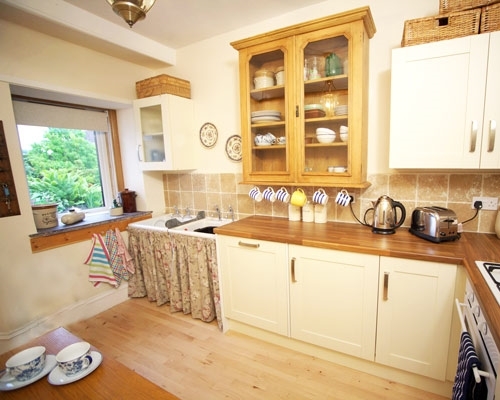 The fully equipped kitchen can be accessed from the front or rear halls and is fully equipped with oven / hob, fridge, dishwasher, etc ... all the mod cons to help make your time in the cottage as hassle free as possible. The washing machine can be found in the back hallway. 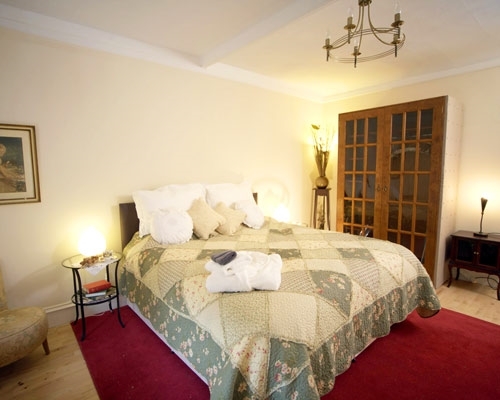 The bedroom is accessed from the front hall (to the left upon entering) or from the bathroom at the rear. It has zip linked beds which give it real flexibility enabling it to be set up with a large kingsize bed or two singles. There is good quality bedding, fluffy towels and dressing gowns provided. 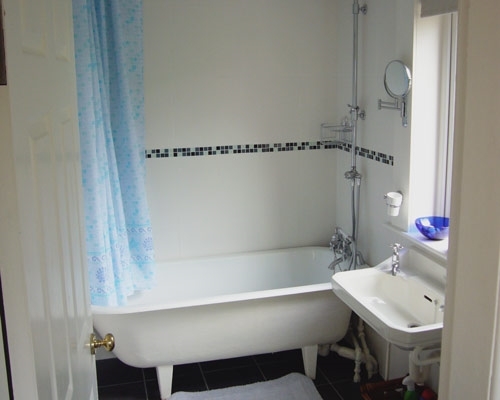 The bathroom has a traditional roll top bath and shower over, WC and wash hand basin. At the side of the property there is a private parking area. 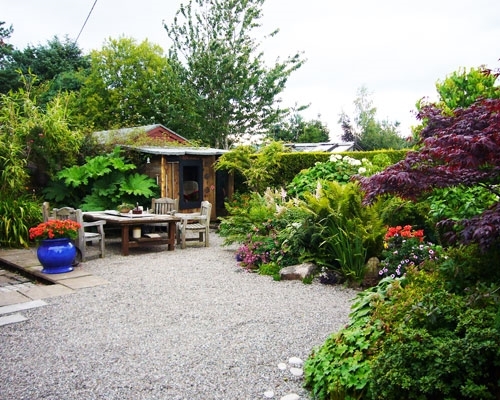 The garden is a real delight in which to enjoy a relaxing glass of wine and dining al fresco when the weather allows! The owner, a professional landscape gardener, has taken time and effort to create a unique space with plenty of little nooks in which to sit. The abundance of flowers and shrubs with their magnificent colours are inviting. 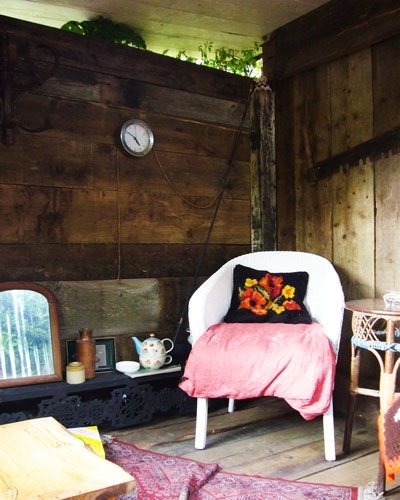 With a charming, hand built, summer house there's even somewhere to sit if it gets a little cooler or starts to rain. Accessed from the rear garden is a storage room which houses the tumble dryer. This is the perfect place in which to store sporting equipment such as bikes, fishing rods or golf clubs, as well as wet gear or muddy boots! Around the area there is lots to see and do whether it's the walks, fishing, history, heritage or culture. There's also a good selection of golf courses, including the famous course at Gleneagles, for the keen golfer. For shopping the small country town of Aucherarder has a good selection of individual shops, pubs and restaurants. Perth and Stirling are both approx. 20 minutes drive away where a larger selection of shops, restaurants, bars, etc, can be found. Strathview Cottage is ideal for couples - providing space, comfort and above all a real 'chill out' atmosphere. For a little pampering you could always treat yourself to a spa treatment at the famous Gleneagles Hotel and Golf Resort. Sleeps up to 2 guests plus a baby. 10% deposit is required to secure the dates with the balance due 8 weeks prior to arrival. Where a booking is made within 8 weeks of arrival then full payment will be required at the time of booking. We accept most forms of payment including bank transfer, all major credit cards and UK issued debit cards. Credit card payments incur a 3% surcharge - debit cards are processed free of charge. Once a booking deposit has been paid and the booking confirmed in writing, the Tenant is liable for the whole amount of the rent for the period booked. The cancellation policy to be adhered to is: notice of 30 days or more prior to arrival - 10% of total booking; notice period of 14 - 30 days prior to arrival - 50% of total booking; notice period of less than 14 days prior to arrival - full payment. All cancellations must be made in writing.